Yesterday in a deal brokered by the European Union, Russia agreed to supply gas to Ukraine through March. Host Ben Kieffer talks with Roman Skaskiw and Jim McCormick in this Newsbuzz edition of River to River. But Roman Skaskiw, an Iowa Writers Workshop graduate living in Lviv, Ukraine, says distance from Russia was more important than gas to many Ukrainians. "They're very proud right now. They feel like this is a long overdue divorce, and if they have to be cold for one winter or chop wood, they were ready to do that." The gas deal is hardly the only concern for Ukraine at the moment. Pro-Russian separatists in eastern Ukraine have planned a separate vote on November 2 in defiance of the Ukrainian national elections held last Sunday. Skaskiw says last Sunday's elections show a change in the Ukrainian people's mentality. "It's very significant. It's a civilizational shift of Ukraine towards Europe and away from Russia." Host Ben Kieffer discusses the gas deal, the recent elections and attitudinal shifts in Ukraine with Skaskiw in this Newsbuzz edition of River to River. ISU professor of political science Jim McCormick also joins the conversation. Russia has warned that any use of force in Ukraine's eastern region could lead to civil war. 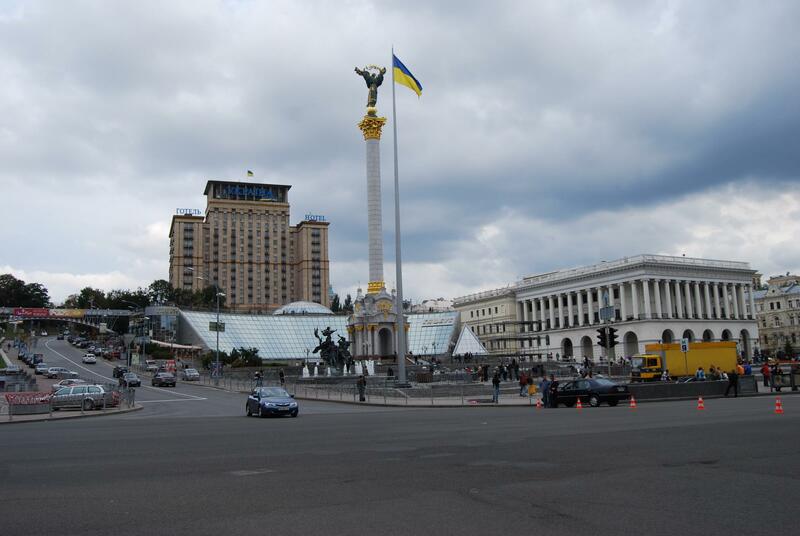 This comes as Kiev seeks to regain control after pro-Moscow uprisings in three cities. This hour, host Ben Kieffer listens to two perspectives on the crisis. The ongoing turmoil in Ukraine could impact the world’s wheat supply and with reports that fighting is edging closer to a key Black Sea trading port, farmers and commodity brokers are paying attention. 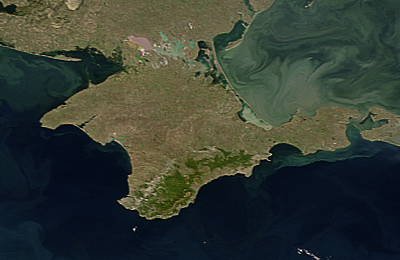 Pro-Russian rebels appear to be pushing closer to the Ukranian city of Mariupol, a strategic port city. 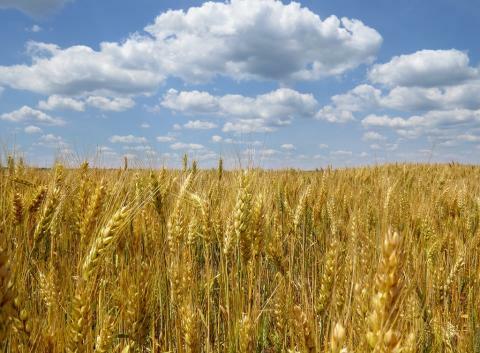 As Ukraine is one of the world’s largest exporters of wheat, any disruption in the harvest or transport of the country’s wheat crop could put a kink in global supply lines and could raise grain prices across the world. Western sanctions have wounded the Russian economy by causing billions of dollars in capital flight, but is that enough to stop what Ukrainian officials say is the strengthening of an "invasion" force? In this episode of River to River, political analysts Jim McCormick of Iowa State University, and Donna Hoffman of the University of Northern Iowa, share analysis on the escalating crisis in between Russia and western powers over Ukraine. Also, a detailed report commissioned by two major Republican groups paints a dismal picture for Republicans, especially among women. As protests continue in Eastern Ukraine, Secretary of State John Kerry says it's clear the chaos is being orchestrated by Russia. 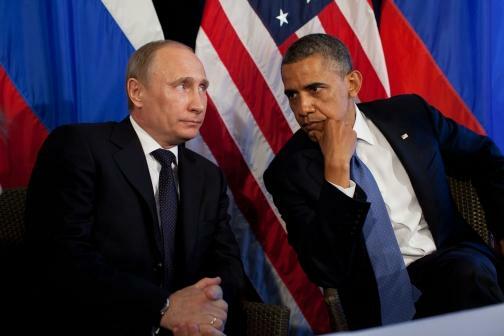 Host Ben Kieffer talks with Wayne Moyer, Rosenfield Professor of Political Science at Grinnell College and Jim McCormick, Professor and Chair of Political Science at Iowa State University about Russian President Valdimir Putin's motivations. They also discuss the politics of equal pay, and the recent firing of Department of Administrative Services Director Mike Carroll.